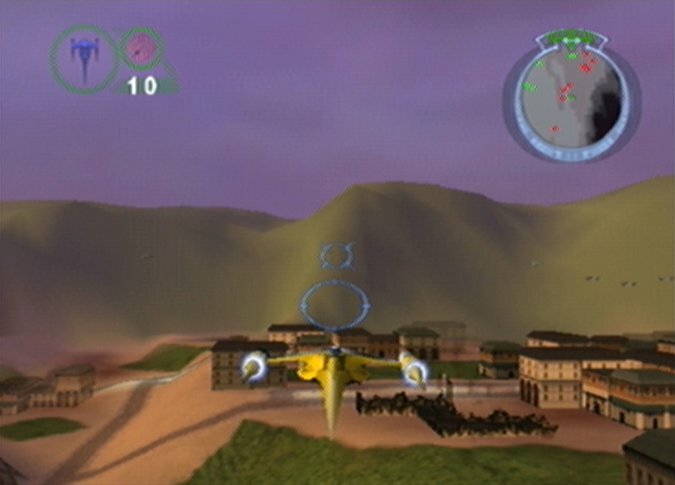 Star Wars Episode 1: Battle for Naboo released late in the N64’s life and slipped past the targeting computers of many players at the time, despite being a spiritual follow-up to the incredibly successful Star Wars: Rogue Squadron. 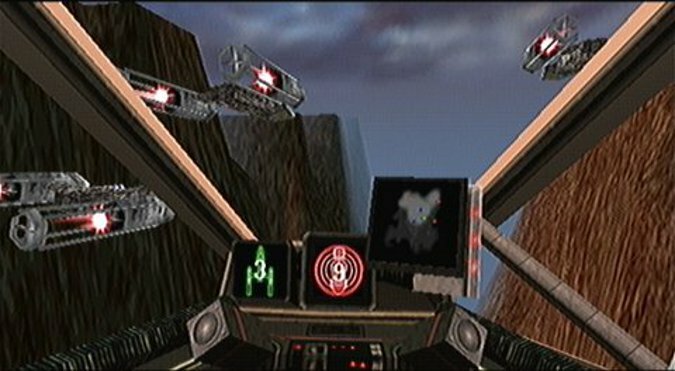 It received mostly positive reviews upon release in 2000, but is the Force still strong enough with this game to warrant playing it today? 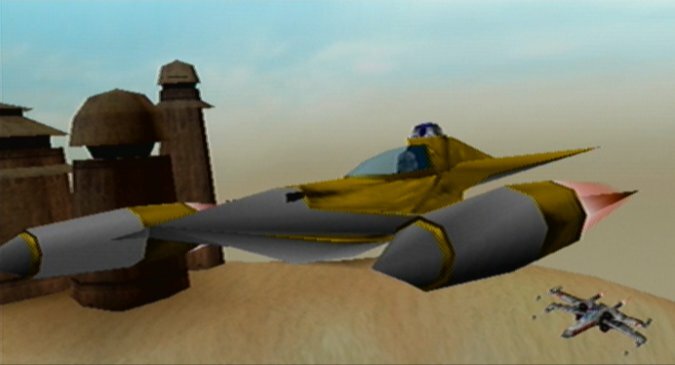 Battle for Naboo follows the adventures of Gavyn Sykes, a pilot in the Royal Security Forces at the time of the planetary invasion depicted in Star Wars Episode 1: The Phantom Menace. He becomes part of a resistance movement that strikes at the occupying Trade Federation and eventually helps to retake the planet. The decision to focus on such a minor character could have been interesting, but the story does little in terms of developing Gavyn. Because it is so heavily interlinked with the film – even portraying some of the same events – everything you do is inconsequential, as the main characters would have come along and saved the day regardless. What the plot does succeed at, however, is setting up a series of fun, action-packed encounters, and ultimately that’s a lot more important given the type of game Battle for Naboo is. In each of the game’s 15 missions, you’re tasked with a set of objectives, which can suddenly change depending on what happens. These typically involve destroying all the enemies in a designated area, escorting NPC allies or taking out an installation. 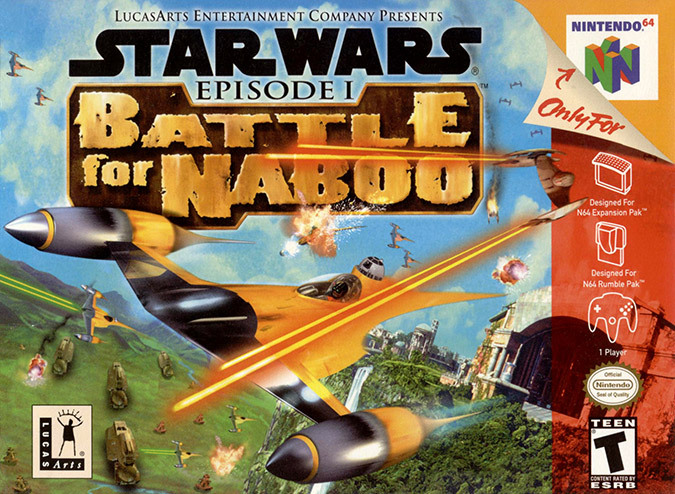 At its best, Battle for Naboo delivers tense and challenging combat that makes it feel like the odds are really stacked against you, especially in some of the later missions. You battle the Trade Federation at sea, on land, in the air, and even in Naboo’s orbit. Some missions either require or allow you to choose to use multiple vehicles. This keeps things interesting, especially as choosing a different vehicle results in the mission playing out slightly differently in some instances. Each vehicle type offers a different experience, and learning how to get the most out of each one is part of the fun. Starfighters, for example, offer unparalleled freedom, and allow for fast attack runs, whereas you’ll need to flank or quickly run down enemy troops to avoid a quick death in a land vehicle. Ground combat generally is more difficult as a result of your movement being limited by the terrain, and some enemies are annoyingly hard to hit because they’re incredibly thin. Aerial combat is also surprisingly tricky. Enemy fighters don’t present much of a challenge, but they do seem to be able to take a considerable amount of punishment from you before they go down. Lining up shots isn’t simple either due to your weapons having travel time. 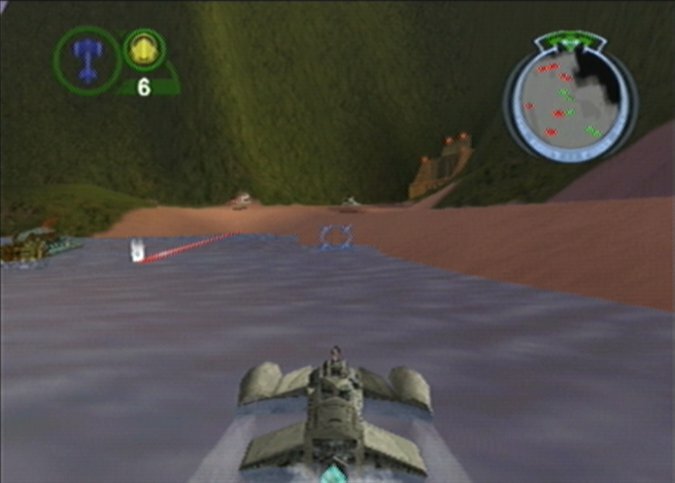 You have to learn to lead your aim and understand enemy movement patterns to truly excel at Battle for Naboo, resulting in an initially frustrating, yet ultimately rewarding experience. Space-based missions –of which there are thankfully only two –are easily Battle for Naboo’s weakest element. The biggest issue is that it’s incredibly difficult to navigate, despite the openness that a space setting provides. 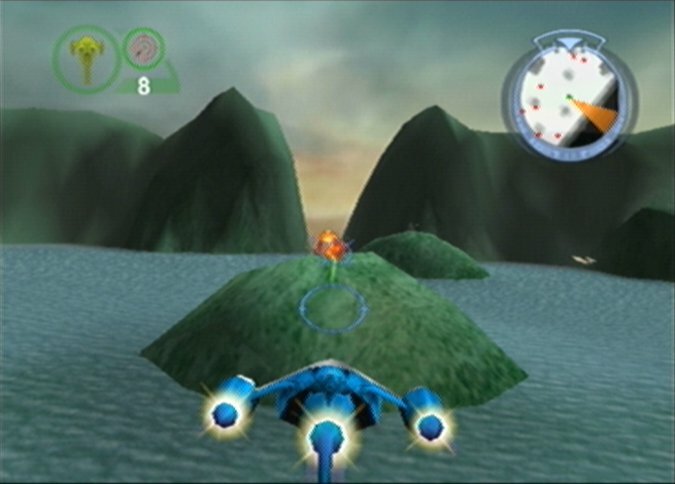 Battle for Naboo provides you with a 2D radar, which essentially acts as a compass and, therefore, can’t tell you if enemies are above or below you. It’s exacerbated by the game’s limited draw distance, meaning you often end up travelling blindly towards and then past your intended target or location. 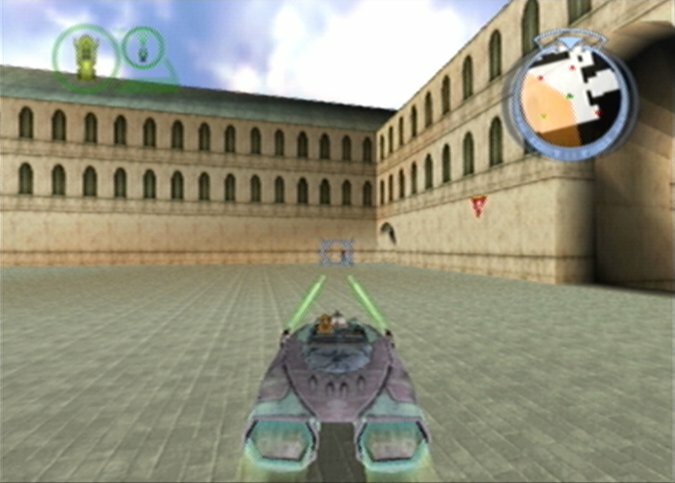 When it comes to the visuals, it’s very apparent that Battle for Naboo was intended to be played with an N64 Expansion Pak. 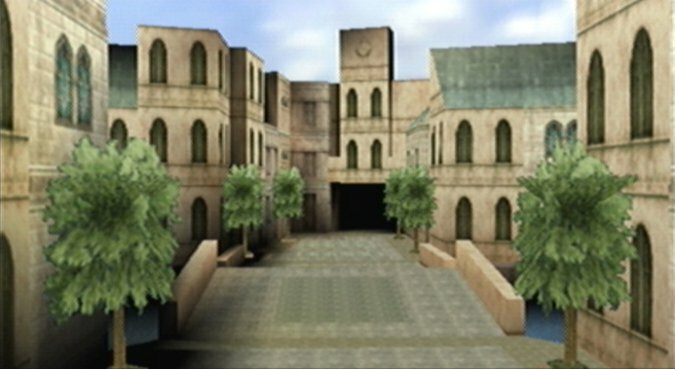 Without one, the draw distance is even shorter, there’s more slowdown and it looks a lot grainer – it simply looks awful on anything other than a CRT TV in this mode, even an UltraHDMI-modded N64. The Expansion Pak alleviates all these issues, and while it won’t look amazing on an LCD/LED TV, it will at least be more playable. The game’s various vehicles and buildings are detailed and meticulously accurate to the source material, but some of the more open environments are a bit sparse and simple, and – understandably – don’t portray Naboo in anywhere near as beautiful a light as the movie did. For a game that is housed within a measly 32MB cartridge, Battle for Naboo’s audio is impressive, and even features a fully voiced dialogue throughout. Music from the film accompanies the action in a synthesised, albeit lower quality form, but it’s at least interactive and adapts to reflect what’s happening on screen. 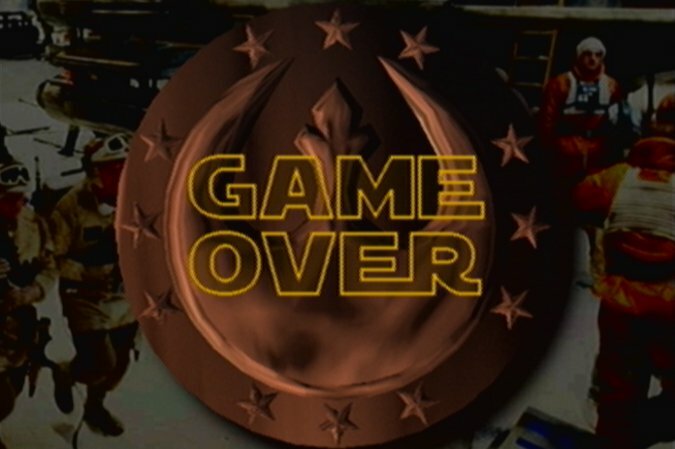 Battle for Naboo is not a very long game, and you can easily complete it within an afternoon. A built-in medal scoring system adds a surprising amount of replay value, and gives you the chance to unlock up to three bonus missions by getting a bronze, silver or gold medal in every mission. Achieving gold on every mission is not a task for the faint hearted, and there’s yet another challenge waiting for you should you manage it. The bonus missions are a tad disappointing, however, and two of them feel very much like tech demos that were slightly spruced up before being thrown into the game. Star Wars Episode 1: Battle for Naboo is a fun, action-packed game that does a valiant job of capturing the essence of the film saga’s epic battles. 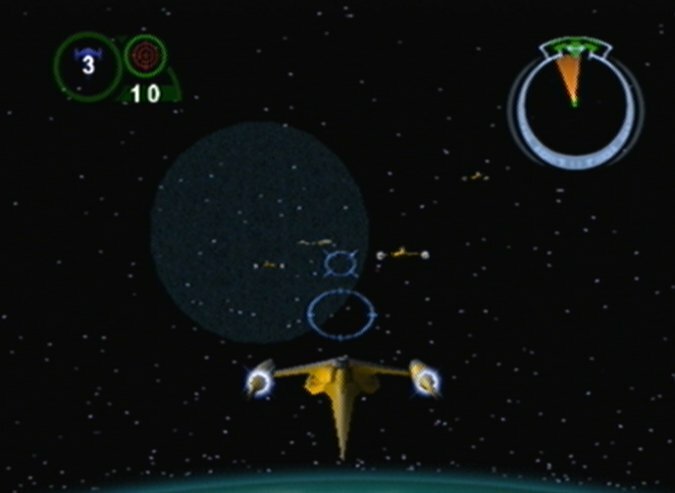 It struggles without an N64 Expansion Pak and the space-based missions are painfully frustrating, but generally Battle for Naboo plays well, while offering challenging, varied gameplay and a surprising amount of replay value.